Click on above to learn about the special gardens at Big Shanty. 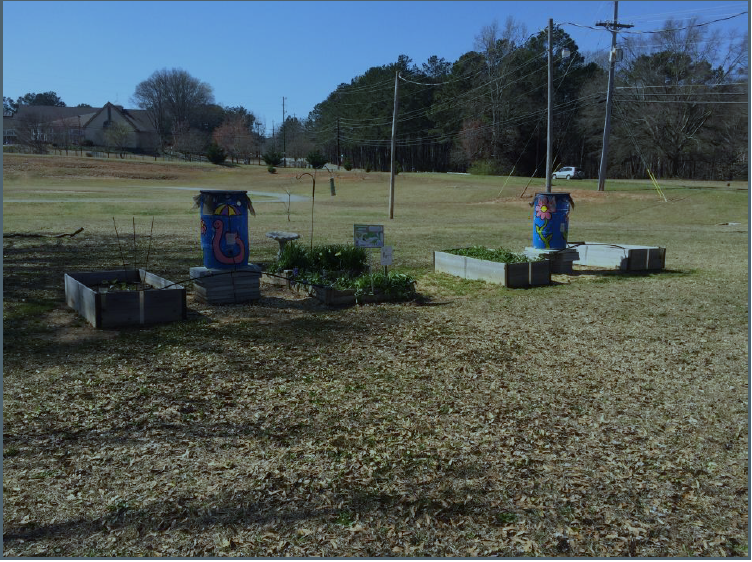 Vegetable garden before planting (March 2018)​ without ASPIRE pathway, bench, and plants for birds. ASPIRE Pathway, vegetable garden, bench, and plants for birds (May 2018). Our Eastern Bluebird Cam is below it too!